There’s a variety of ways that wage theft happens. Sometimes employers will refuse to pay outright, but others refuse to pay overtime or misclassify their employees as independent contractors. Last August, Harris County prosecutors filed charges against a homeowner who allegedly refused to pay a house painter. The district attorney’s office charged the homeowner with theft of service. As the county’s first-ever wage theft case, it was big news. But, it was just one case. In fact, hundreds of Houstonians didn’t get paid for their hard work last year, according to community organization Faith and Justice Worker Center. 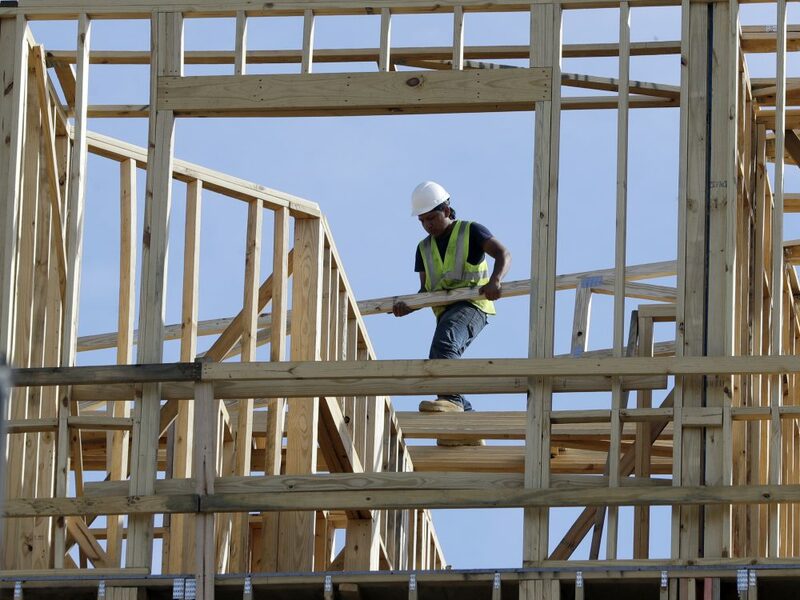 The organization collected 488 claims of wage theft and other labor violations from across the Houston area between February 2018 and February 2019. “In this initial report, we wanted to publish the total number of wage theft claims that we received over the last year, which amounts to $1.2 million dollars,” said Silvia Chicas, the Information Manager at the Faith and Justice Worker Center. She said there’s a variety of ways that wage theft happens. Sometimes employers will refuse to pay outright, but some cases are more nuanced. Some refuse to pay overtime or misclassify their employees as independent contractors. “Employers who are out to break the law have very creative means by which to steal from working people,” Chicas said. 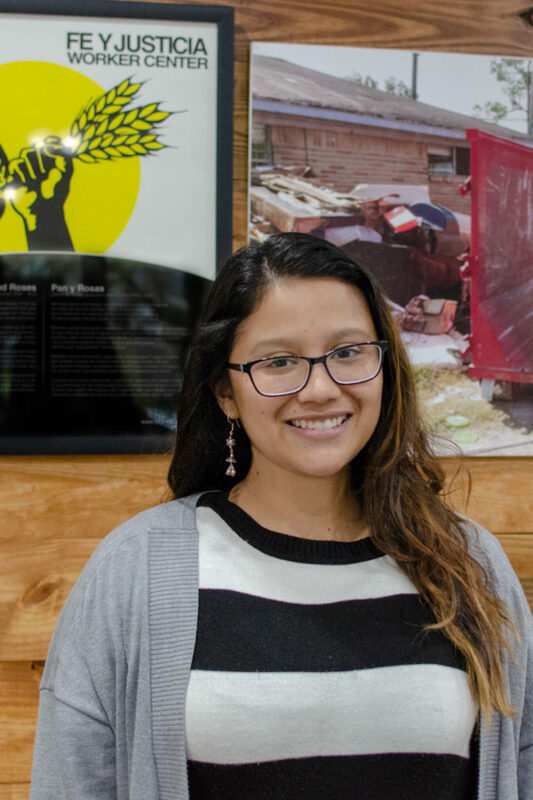 Silvia Chicas is the Information Manager at the Faith and Justice Worker Center, which collected 488 claims of wage theft and other labor violations from across the Houston area between February 2018 and February 2019. As a day laborer, Ines Castillo said he knows that all too well. He said he depends on his wages to support himself and his family in Honduras. When he’s not paid for his work, he said he feels frustrated and humiliated. Another worker told News 88.7 that employers took his phone – his own personal property – during work hours. Other employers gave him checks that bounced. The man said he didn’t want to be named because his bosses sometimes threaten him and his family. He said that on three separate occasions, employers who refused to pay threatened to call Immigration and Customs Enforcement. Undocumented immigrants are especially at risk for wage theft. Chicas said she’s familiar with this tactic. “We’ve even had reports of legal permanent residents and citizens just because the employer suspected that they might be undocumented, they issued a threat and said, ‘We’re going to call ICE on you,’” she said. Valerie Turner, with the Consumer Fraud section of the Harris County District Attorney’s office, said her office works on going after wage theft violators. “We’re here to step-in in situations where disenfranchised individuals would otherwise not have any ability to seek assistance,” Turner said in a phone interview. The DA’s office worked with the Faith and Justice Worker Center on the case against the homeowner who wouldn’t pay his painter in 2018. “They kind of synthesized the information, passed it on to us, and then we sort of blessed [it] off – ‘Okay, this is a situation where we would definitely consider charges,’” said Turner. County prosecutors’ new approach to wage theft rests on Texas’ theft of service law – the same law that says you can’t dine and dash or refuse to pay a hotel bill. “These are people who have put in hours of work and have not been compensated for it and so we’re coming from the angle that this is a theft,” Turner said. She said her office can help people that may not otherwise be able to find justice. Even so, the district attorney’s office has only filed one case for wage theft and has only a handful more under investigation. Turner said that filing the cases is tough because under Texas law the county has to prove that the employer had criminal intent. “If the only thing we have is that the employer didn’t pay you wages for your hours spent at work, then we don’t have a criminal case,” Turner said. Turner also said the county only has four prosecutors that handle this kind of offense. Back at the Faith and Justice Worker Center, Chicas said her organization will release its final recommendations for policy makers in a report coming May 1. “It’s really a crisis that’s happening in our city, and it’s the responsibility of every person in this city to be aware of what’s happening – the length and breadth of the problem,” Chicas said. People who believe they’ve been a victim of wage theft can contact Faith and Justice at (713) 862-8222, the Consumer Fraud section of the Harris County District Attorney’s office at (713) 274-5555 or the Texas Workforce Commission.